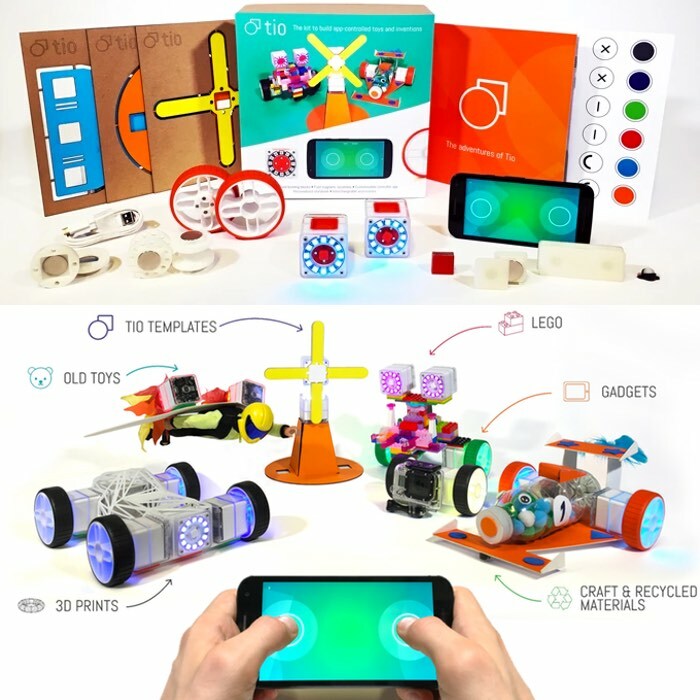 Tio has created a new robotic building block system which has been specifically designed for children ages five and up and allows them to build a variety of different toys, contraptions and projects that can be controlled and programmed using the Tio smartphone companion application. 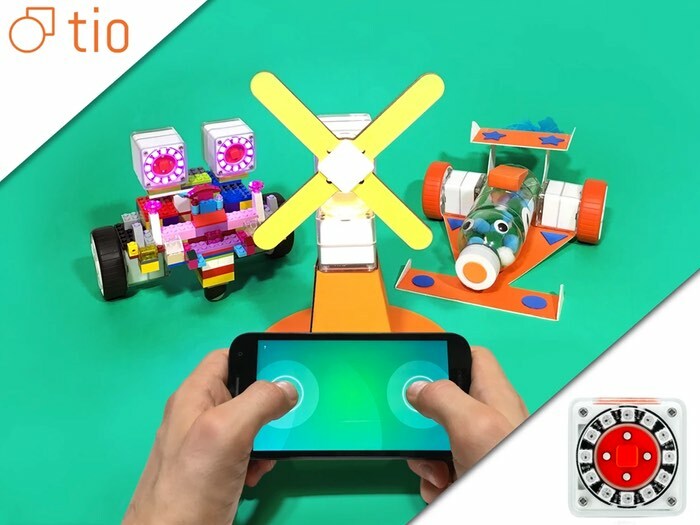 The Tio robotic building blocks also provide an easy, creative and fun way for children learn STEM skills, and more can be learnt about Tio by watching the promotional video embedded below. The robotic building blocks take the form of wireless motors that include built-in LED rings and rechargeable batteries. Which are then controlled using the smartphone application via Bluetooth, and more than one block can be controlled at any time providing a great way for children to expand their imagination whilst learning about robotics and programming at the same time. The creators of the Tio blocks, based in London explain a little more about its inspiration and design. Tio is a robotic building block for girls and boys to make their own moving tech toys. It’s super creative, fun and a powerful technology for learning. We need your help to make it happen! Tio combines robotic tech with creative play. Over 200 children, parents and educators have already made moving toys and robots with Tio. No matter their age, ability or what language they speak, children can play and learn with Tio. Engaging and inspiring kids from a young age gives them a head start. By playing with Tio, a simple yet powerful tech, they gain fluency and confidence with STEAM subjects and acquire future skills and knowledge including creative thinking, team work and problem solving. Children with STEAM (Science, Technology, Engineering, Art, Maths) skills are essential to our future.